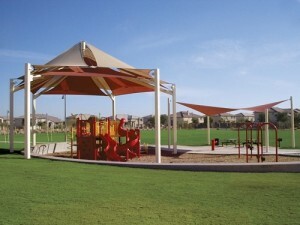 weather conditions as well as the increasing awareness of skin cancer caused by the harmful Ultra-Violet rays from sunlight. 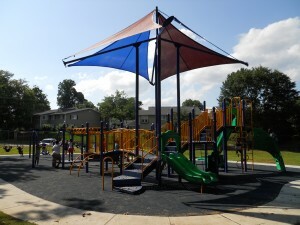 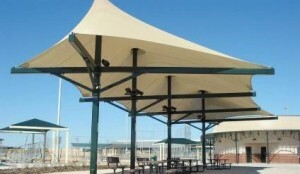 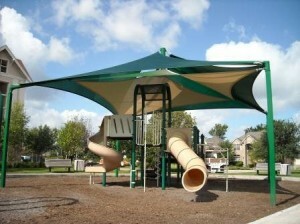 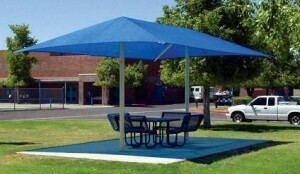 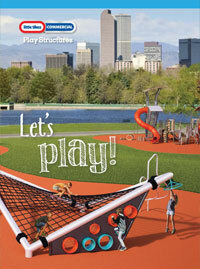 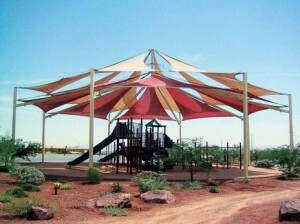 Our cost-effective and aesthetically appealing fabric shade structures are used to shade Parks & Playgrounds, Schools and Daycare Centers, Auto Dealerships, Pools and Waterparks, Sports and Athletic Facilities, Stadiums and Amphitheaters, Hotels and Resorts, Retail and Community Centers and much more. 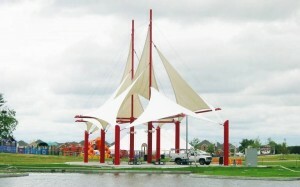 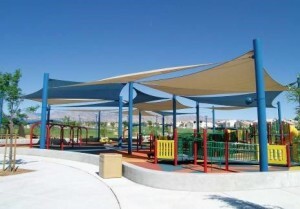 Our shade structures utilize the most advanced architectural fabrics available and our support elements are made with the finest quality steel and state-of-the-art connection components.